Debt consolidation is the process of combining multiple bills and payments into a single payment through a debt repayment plan or debt management program. Basically it is a plan that requires you to combine all of your debt into one debt. The debt consolidation process is available to the debtor through a debt relief company, a debt consolidation company or a consumer debt counseling agency. Debt consolidation is helpful if you are able to borrow money from one source at a low rate of interest, which allows you to repay your other high interest debts. By consolidating your loans into one payment it helps reduce the monthly cost and decreases the accumulation of interest payments. It can allow for a faster repayment of your debt. Debt consolidation usually results in points on your credit history. Unlike other plans, debt consolidation is less forgiving when a payment is late. But unlike other debt resources debt consolidation can provide certain tax advantages. 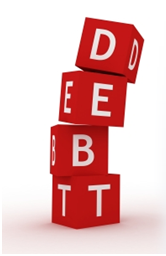 Debt Consolidation vs. Debt Settlement. For many people seeking debt consolidation the actual debt program they enroll in is Debt Settlement. 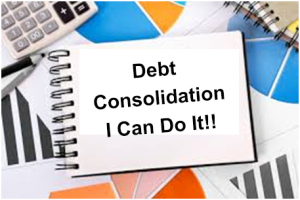 Debt Consolidation is much different than Debt Settlement. Debt Consolidation typically involves paying back all your debt but over a longer period of time. Debt Settlement involves reducing the amount of debt you have to pay and shortening the time it takes to pay the reduced debt amount. It is important to talk with a debt advisor before making you decision on which debt program to enroll in to ensure the correct one is selected for your unique financial situation.